Support the Akron-Canton Regional Foodbank by listening to 98.1 WKDD, My 101.7, Rock 106.9, 99.7 Canton’s New Country, 1350 Fox Sports Radio and 640 WHLO from 6:00 am to 7:00 pm on Friday, December 2, 2016. We will be accepting food and financial donations while broadcasting live from two locations. On-air personalities and volunteers will be on hand to provide personalized service by accepting monetary donations or to unload food donations from vehicles. 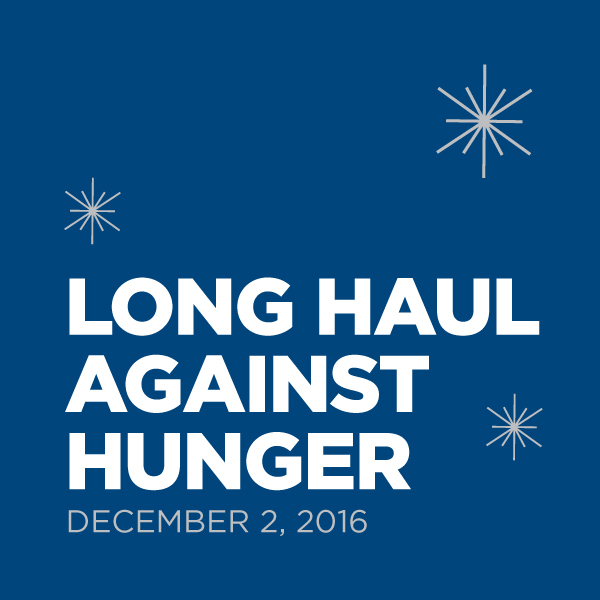 Donations made during the Long Haul Against Hunger will be matched by FirstEnergy Foundation, Summa Health, The J.M. Smucker Company and the 415 Group. Can't make it to either location? Make a donation on our website and your gift will also be matched.